Copyright. 1896, by Chas. 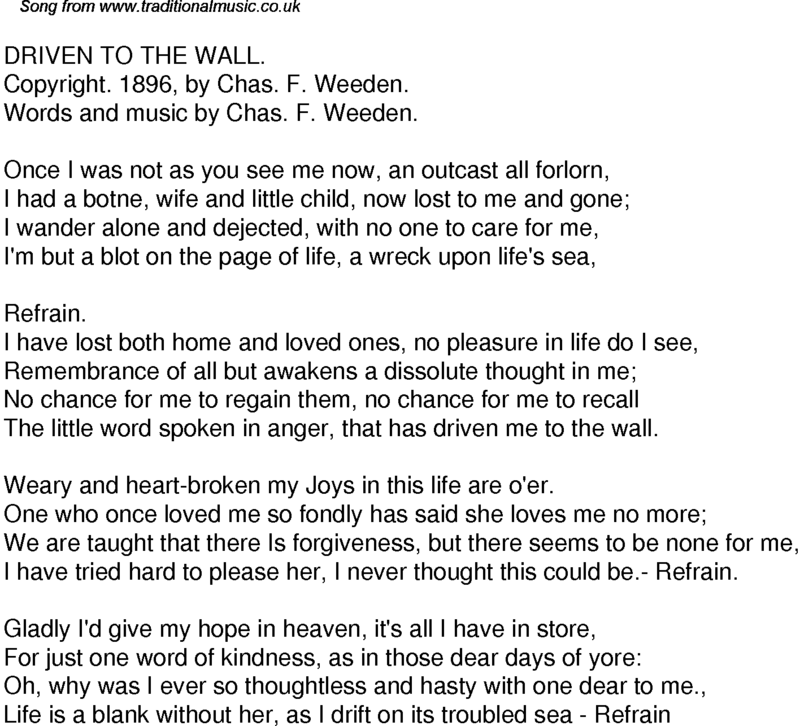 F. Weeden. Words and music by Chas. F. Weeden. The little word spoken in anger, that has driven me to the wall. Weary and heart-broken my Joys in this life are o'er. I have tried hard to please her, I never thought this could be.- Refrain.